All states, barring hill states, are moving towards a uniform sales threshold of ₹40 lakh for businesses to register for goods and services tax (GST) despite the federal indirect tax body, the GST Council, giving them the choice to retain the current limit of ₹20 lakh. Kerala, which was so far insisting on GST registration for traders and businesses with ₹20 lakh or more in annual sales, is veering towards raising it to ₹40 lakh. Last week, the state had informed the Council that it was taking a fresh look at its earlier position, one person familiar with the discussions said on condition of anonymity. 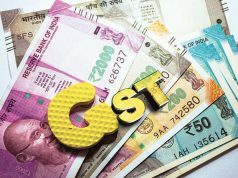 Punjab, which has been recording revenue loss in the GST regime and was compensated by the Union government under a Constitutional guarantee, too, has decided to go for the ₹40 lakh threshold, said a second person, who also requested anonymity. Punjab had serious concerns about raising the threshold considering the possibility of a further decline in tax collections, which could pose a fiscal crisis when the central government compensation comes to an end in 2022. In spite of that, the state decided to go for the higher threshold limit as there is still time to step up revenue collection, the person added. Punjab had received compensation of over ₹4,600 crore in FY18, the second highest after Karnataka, which got ₹7,500 crore during the period, as per official data. States are betting on a boost in revenue when the lenient approach to tax administration in the initial two years of the tax reform gives way to stricter enforcement thereafter. All states are expected to inform the Council about their decision on the registration criteria sometime this week. 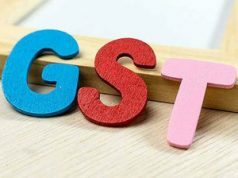 The fact that states, which had earlier preferred a lower threshold limit, coming on board for the higher limit implies that finally, consensus is set to prevail in resetting a key feature of the GST architecture. The proposal for a liberal registration requirement had threatened to necessitate a voting at the 10 January meeting of the Council, in which chairman Arun Jaitley had allowed states to opt for a suitable threshold to avoid vote. So far, all decisions in the Council have been taken by consensus and Jaitley did not want to break that tradition. 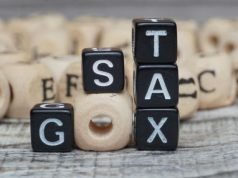 The latest development indicates that even if states have the liberty to set the appropriate indirect tax base depending on the number and size of local taxpayers, it is practically difficult for them to move away from the rest of the Union. “If a state retains a tighter registration requirement compared to its neighbour, it is likely that there will be a flow of trade to that neighbouring state,” explained R. Muralidharan, senior director, Deloitte India. This will adversely affect tax receipts and economic activity in the state that has a lower sales threshold for GST registration. 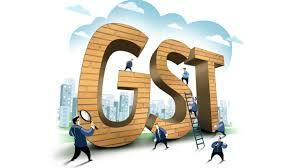 A uniform GST architecture prevents distortions in economic activity caused by policy choices of individual states. The idea of liberalizing the registration requirement was aimed at easing the compliance burden of small taxpayers, but it comes with trade-offs. “Now, the chances of both suppliers and buyers going out of the tax net are higher. This could affect revenue receipts,” explained a third official, who also spoke on the condition of anonymity. Field officers see the possibility of big businesses organizing their operations as smaller units with less than ₹40 lakh sales to avoid registration. Such splitting of operations was harder at a lower sales threshold.